Shin splints are the bane of many triathletes’ racing seasons. They come with little warning, and when you have shin splints you are usually affected for a while – in some capacity. The fact is that calling something a “shin splint” is a bit of a catch-all term, but it tends to mean you have soreness and pain in your shin – either the inside or the outside. The pain is always on the front half of the leg, and always between the knee and the ankle. If the pain radiates to your knee, you likely have other issues. As you might imagine, shin splints are most likely aggravated by the run leg of triathlon training. While cycling might affect some leg issues, shins are in a very protected position during cycling, so it is likely not going be a common culprit. And while swimming definitely causing some shin/calf movement and can result in foot or ankle cramps, the motion is rarely enough to cause shin splints. The main cause of shin splints in triathletes is pretty simple: It is an overuse injury associated with running. There are a few telltale symptoms of shin splints that usually tell you that you are dealing with them, especially if you have recently been increasing your running mileage or are in a run-dominated period of your tri training. Pain will be concentrated around the tibia. on the soft tissue away from the shin bone (which is actually the tibia, but we will call it the shin bone to keep it simple), but almost always concentrated in the front half of the leg (not in the calf). 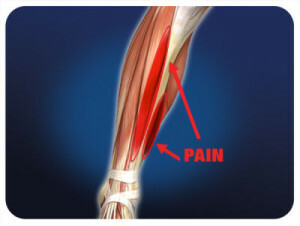 Pain on the inner part of the lower leg, just on the edge of the shin bone. This inside pain is often closer to the ankle than the knee. It is often a dull pain, not a sharp, shooting pain. General pain or discomfort along the entire shin area. If it is a persistent but dull or moderate pain, it could be shin splints. Anything that is more pronounced, intense, or shooting, and something that is emanating from one spot that you can point to, is often something else such as a stress fracture. (You are better off having shin splints). Shin splints is a catch-all term, but the pain typically originates in two specific muscle areas on the shin. Several things might cause shin splints, but the good news for triathletes is that the cross-training inherent in the sport should reduce the odds of a bad case of shin splints. Overtraining is the single biggest cause of shin splints, and while a marathoner might be running five or six days a week, the typically triathlete might be more on a twice-a-week schedule for the runs. That by itself reduces the risk considerably. Another factor linked to shin splints is taking on too much mileage to fast. If you are coming off a winter rest season, or perhaps new to the sport of triathlon, be sure that you ramp-up your mileage and intensity gradually. We know, this can be hard to do. The enthusiasm associated with a new training season is often strong. But some of the worst overuse injuries come right when you are feeling the absolute best. Finally, stretching is an important part of any training plan, but if you are prone to shin splints, be sure you are stretching a little more. Lower-leg stretches, such as a good, full calf stretch, should be part of your training regimen. Especially after a run, be sure to allow five to ten minutes for stretching. Anything that stretches your calf will help your shins. Once you suspect that you have shin splints, there are a few things you can immediately try to reduce the effects. Like with most workout-related injuries, the treatment depends on the severity. Most cases of shin splints can be addressed with some rest and home remedies. In more severe cases, medical intervention might be necessary. A simple calf stretch can do wonders for splints. Just take it slow! Ice is great for so many running injuries, shin splints being no exception. You can use an ice pack, try an ice bath, or use the dixie-cup method: freeze ice in a dixie cup, then peel away some of the paper on the bottom and simply rub it around your shins as it slowly melts. This method is the lowest-tech but possibly the most effective. Achilles and calf stretches. Making sure you keep your lower leg well-stretched is critical. Do your favorite calf or ankle stretches, such as standing on a step and lowering your calf down, and sitting on the floor and stretching your ankle with your hand by moving your foot. When you finally have gotten rid of the splints, do not stop doing these stretches – they may prevent the next round. Try compression socks. Compression socks are used by runners and athletes around the world to help reduce the swelling associated with shin splints, and to create additional blood flow to the affected area. These can be used during workouts but are perhaps most effective during recovery, in-between runs. Studies have shown that the main benefit of compression gear is to help accelerate recovery. Just be sure the sock goes all the way up to the top of your shin, just below the knee. It is a little like getting a continuous massage on your calf and shin. Which brings us to…. See a sports masseuse or therapist. Masseuses or therapists who specialize in helping athletes can be invaluable to someone with shin splints. They often see many cases of a particular condition each week, so have a great sense of what works as well as being able to quickly gauge the severity of your case relative to others. Be sure that whoever you see does bodywork – massage, stretching, etc. – instead of simply trying to sell you some device or supplement. The good ones in this industry are worth their weight in gold. Bones are constantly changing. They respond to the work that is being placed on them. Bones also constantly repair themselves by replacing cells. Bones will accumulate a high level of calcium when they are intensely being used. When the bones are not frequently used, less calcium is produced. When too much stress is being placed on a bone impeding its ability to repair itself, cracks can start showing in the bone structure . A stress fractures is a crack that happens in the bone because of overuse. They are most common in high impact sports such as baseball, or distance running. Other activities requiring running and jumping or repetitive movements such as cricket, or rowing. They occur most often on the weight-bearing bones of the leg (the metatarsal bones). The symptom of stress fractures consist of dull pain near the site of the fracture. Swelling can also be noticed on the location and the pain becomes worst when standing, walking, or exercising. To diagnose stress fractures an examination of the foot is undertaken. Most of the times, an X-ray is performed. Stress fractures often tend to recur. Statistic indicate that about 60% of people suffering from stress fractures have had the same problem previously. Note that sometimes another issue might mimic a stress fracture, so you need to pay attention to symptoms and know your body. For example, shin splints can often resemble a lower-leg stress fracture, only the pain is a bit more dull and generalized. When you are the one with the pain, though, it seems anything but dull — just note exactly where the pain is coming from, and what activities tend to trigger it. Most often the treatment would require stopping any activity that may have been the result of the stress fracture. Rest is then recommended for a certain period. Other exercises can be undertaken but with reduced intensity. 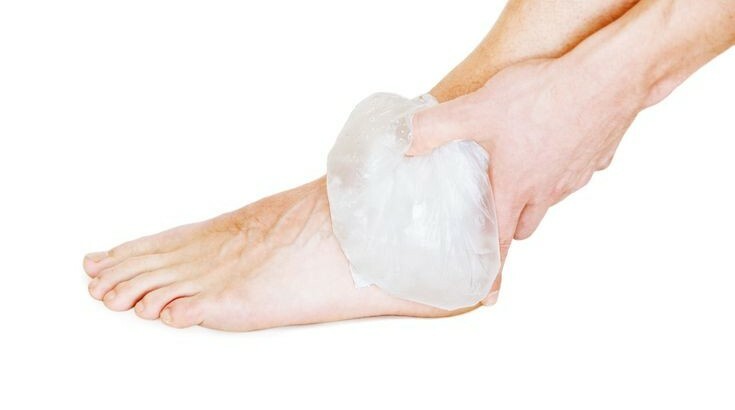 Ice should be used on the swollen surface for at least 24-48 hours and appropriate rest for at least six to eight weeks from the activity that has caused the stress fracture. Pain killer like paracetamol may be prescribed by a doctor, something that has been found to have other positive benefits for runners as well — but we are not advocating starting any type of drug regimen unless suggested directly by your personal physician. A splint or cast can also be recommended depending on which bone is involved, or special shoe wear. Vitamin D and Calcium also are prescribed. In most cases the above measure should heal the stress structure. A case known as nonunion (when the bone fails to heal) may require surgery. This involves the placement of screws to secure the bone. It sometimes also involves placing fresh bone in the area. Nonunion is the most common complication that can occur with Stress Structures. Another complication is malunion. In the case of malunion, the bone heals but in an abnormal position. Yet another complication is recurrent fractures which often occurs in cases of osteoporosis. If you run in a colder climate, be sure you have the right cold weather running clothing for your situation. Stress fractures and foot injuries tend to increase in the cold. Rest properly after intense exercise. Preferably, never run two days in a row, especially if your workouts have intensity. The Iliotibial Band also know as the iliotibial tract or IT Band is a fibrous reinforcement or a strip of connective tissue that connect three muscles ( the tensor fasciae latae, the gluteus maximus, and the gluteus medius muscle) to the lateral thigh and leg providing stability to the knee and hip and preventing the dislocation of those joints. It functions to extend and as an abductor, a medial rotator and as a flexor of the thigh. It also plays a role in helping the tensor fasciae latae and gluteus maximus support the extension of the knee while standing or doing other activities. The Iliotibial Band (ITB) Syndrome is a condition that results due to friction of the tract across the tissues on the lateral side of the thigh. Muscle imbalances – Mechanical imbalances in the body that results in the poor flexibility of the muscles particularly the pelvis, the knees, the hips and the low back. 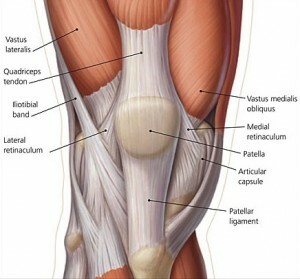 In many cases, weak quadriceps or hamstrings can be linked to many other leg joint issues. Poor training habits – inadequate warm up and cool down, hiking long distances, consistently running on horizontally banked surface. Etc. Anatomical abnormalities – Anatomy issues such as a difference in the length of the legs, the abnormal tilt of the pelvis causing the ITB to become tight and leading to friction, high or low arches, bowlegs, excessive foot strike force. A variety of symptoms could result due to ITBS: Pain on the outer part of the knee, swelling and thickening of the tissue in the location, stinging sensation above the knee joint or when the foot strikes the ground. The pain may also persist after certain activities. To diagnose that a patient is suffering from ITBS often involves the patient describing the kind of pain being felt during certain movement, swelling can also be seen and felt near the femoral epicondyle. Discrepancies – the doctor could search for leg-length discrepancies, muscle imbalances, tightness in the leg and back, pelvic tilt. In general, the treatment for ITBS start with the RICE (rest, ice, compression and elevation) method. The syndrome is mainly due to overuse resulting in inflammation. Ice should be applied several times a day in whatever way provides deep cold penetration but is still comfortable. Compression can be done manually or by using compression gear such as shorts or socks. For cyclists, you may find that using the best cycling shorts rather than off-brand or cheaper shorts offers better compression and alignment. ITBS is just such a delicate injury that any adjustment might help. At occasions anti-inflammatory medication may be prescribed. When no result in obtained from RICE or medication, physical therapy is necessary. Two main types of treatment non-surgical and surgical can be administered depending on the severity. Non-surgical treatment – ultrasound may be used to propel anti-inflammatory medication in the affected location . When the problem is the result of discrepancies, orthotic shoes can be recommended. Keeping the inflammation down is critical, whether you decide to use ice, ultrasound, or medication. Surgical treatment – In some cases when non-surgical treatment does not produce any result, orthopedic surgery may become an option. An Arthroscopy is used to locate and cut the inflammation around the iliotibial band or retrieving part of the iliotibial band to allow room for it to move freely across the bone. Physical therapy – In certain circumstances the RICE procedure produces temporary result meaning that once activities have started again, the inflammation may reoccur. Abnormal movement of the pelvis can result in the ITB pulling away from the knee. In such case strengthening the muscles that stabilizes the thigh can help to control excessive movement. Some exercise that strengthens the musculature include: Hip trust, side leg raise exercise, pistol squat, side hip bridge, foam roller IT Band, Hip flexor stretch, outer quadricep tender point exercise. Stretching – It has been found that keeping the entire series of leg muscles loose is critical to preventing the onset of ITBS. Foam rollers can help in the stretching. Preventing ITB injuries involves taking the necessary steps not to overuse or stress the ITB. The most essential method of prevention for athletes is to use the right kind and quality shoes depending on sport. Runners should also try to maintain a constant pace and not force too hard and undertake frequent exercise to strengthen the musculature. The rotator cuff is a group of muscles that supports the arm and the shoulder joints. They connect the bone of the upper arm (the humerus) with the shoulder blade (the scapula). These consist of four muscles known as; the supraspinatus, the infraspinatus, the teres minor and the subscapularis muscle. The muscles originate from the scapula and attach to the humerus by means of tendons and assist in the movement of the arm and the stabilization of the shoulder joints. Rotator Cuff Tendonitis (also known as impingement syndrome) occurs when these muscles and tendons become inflamed or irritated. Inflammation of the protective sheath that surrounds the tendon – The protective sheath of the tendon (the synovial) produces a liquid (the synovial fluid) that keeps the tendon lubricated. Malfunction of this sheath due to tendon injury may result and cause the sheath not to produce or in insufficient quantity the synovial fluid causing the inflammation or swelling of the sheath. • Tendon rupture – The tendon can often support forces 5 times the body weight and at occasions can snap or rupture. Reasons for rupture of the tendon include the use of steroids, certain diseases (gout, hyperparathyroidism), direct trauma, aging, extensive and repetitive use by practicing some sort of sport or other activities. • Deterioration of the tendon – The degeneration of the tendon without any apparent inflammation can result due to overuse or age. • Inflammation of the tendon – There are a variety of causes resulting in the inflammation of the tendon such as: stress on the tendon, direct trauma, some types of antimicrobial drugs can also cause inflammation, inflammation due to certain types of diseases, and anatomical causes referring how they are actually built. Most of these conditions are common among athletes and particularly in certain types of sports where there is repetitive and forceful use of the rotator cuff muscle (swimmers, tennis players, basketball players etc.) At occasions it can also be the result from activities work related that requires working with the arm overhead like painting, carpentry, etc. Sleeping on the same arm each night may also cause inflammation of the tendon etc. The symptom commonly suggesting a problem with the rotator cuff muscles or tendons is associated with pain near and around the shoulder accompanied with pain during movement of the shoulder for different activities particularly when lifting your arm. Diagnoses of rotator cuff tendonitis would involve describing the type of pain being felt on the shoulder, an x-ray may be recommended as well as ultrasound scan or MRI scan. Often redness or swelling can be seen on the shoulder. The pain can come gradually in the case of tendonipathy or it can be sudden and excruciating due to tear because of accident. The treatment for tendonitis will largely depend on the type of injury and its severity. In general, beside seeking medical attention , the treatment would involve following the RICE (rest, ice, compression, elevation) principal for home therapy. Depending on the severity, the treatment may or may not involve surgery. • Non surgery therapy – Following the RICE principal and adequate medical attention. The doctor could recommend the use of brace or splint to immobilize the rotator cuff so that it can rest. Swelling can be reduced with the application of heat or cold. Some other non surgical therapy include massage, stretching the affected area, Transcutaneous electrical nerve stimulation (TENS), and ultrasound. Medication can also sometimes be prescribed particularly for sheath inflammation which are non-steroidal anti-inflammatory drugs, antibiotics when there is an infection. • Surgical intervention – A tear of less than 50% can be repaired by what is known as arthroscopical surgery whereby dead tissues are removed by means of a small incision. In other cases surgical intervention can be undertaken to repair a torn tendon. In most cases, surgery is the preferred choice when a tear is the result of a recent injury, there is a complete and large rotator cuff tear. To avoid Tendonitis it is essential to understand the anatomy and biomechanics of the shoulder and to use the proper methods of doing certain activities or exercise. Athlete and those who regularly exercise should not also neglect the rotator cuff muscles and concentrate only on muscles such as the triceps, the deltoid or the pectoralis major. This could cause imbalances that could result in impingement syndrome. Another things to take into consideration is not to push your muscles too hard and be attentive as to how the body reacts for different activities. TriathlonMD is devoted to helping triathletes train and perform injury-free and in a way that helps them hit their peak performance. A well-executed training plan, complete with stretching, rest, and strength-training will keep you going strong even when others are challenged. TriathlonMD explores common triathlon injuries, preferred training plans, triathlon gear that can help you stay more injury-free, and techniques you can use to peak at the right time without burning your body out. In these pages, we will explore the injuries that most commonly affect triathletes, ranging from IT Band Syndrome to swimmer’s shoulder.